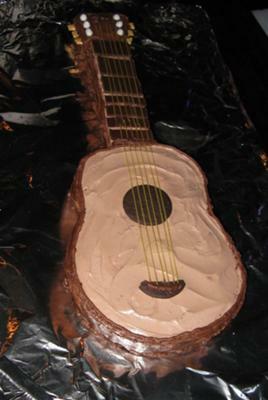 I used two 9x13 cakes to make this guitar cake. I used one for the body and one for the neck and headstock. The tuning knobs were graham gold fish cracker "tails". THis looks great! I am going to give it a try for my hubby's birthday. Thanks for the recipe and tips!